When does your fitness journey really begin? I know for me it did not start until I decided to train my mind and body. Sophomore year of college I found myself 30 pounds heavier feeling insecure and at a new school (I started to explore my transformation my second year). My confidence was lacking due to my weight gain and having to make new friends all over again. I discuss this in greater detail in my e-book You Can Have It All: Fitness Edition. With a new state of the art workout facility at my fingertips I was determined to hit the gym and drop the weight that had piled on in just one year. However my workouts were infrequent and I overindulged on the offerings in the dinning hall on a regular basis. When the weekends rolled around high caloric drinks and late night eating diminished any workouts I might have put in at the gym. Getting frustrated with not seeing any visible results I started to self-educate myself by reading more fitness magazines and exploring some of the workouts that I discovered. Truthfully I dabbled in some of the most ridiculous extreme diets that left me irritable and overeating once I had a enough torture. It wasn’t until I graduated college and I was able to prepare and purchase my own food that I started head in the right direction of creating and MAINTAINING a fit lifestyle. I also signed up for Weight Watchers, this helped me incorporate healthier options into my diet and drink more water. Friends and family were not use to "fit" Nadia and honestly not everyone was supportive. It's so important once you have committed to maintaining new and healthier lifestyle you create a circle of friends/support group that is going to encourage this change. I remember being toldI look sick, your obsessed and why aren't you eating? I provide tactics for dealing with this in my 6-week Mind and Body Program. Overtime everything started to change including how I enjoyed spending free time, what I ate and my circle of friends started to included like minded individuals. I explored new forms of fitness like hiking! Being more adventurous came with my new lifestyle! 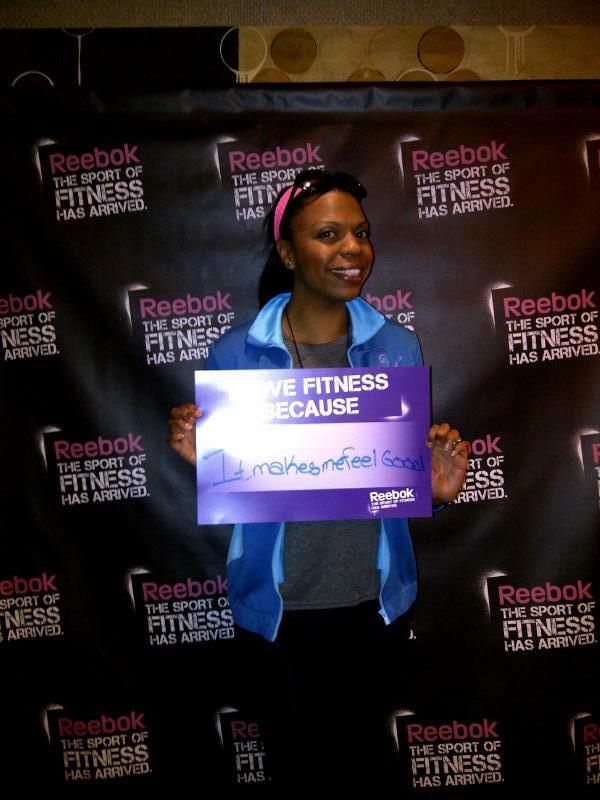 Attending health and fitness related events became a regular thing for me! I embraced my passion for fitness, launched NMFIT and started sharing my tips nationally! TRAIN YOUR MIND AND YOUR BODY, LIFE & HEALTH WILL CHANGE!